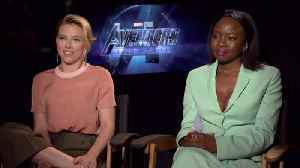 The 'Avengers: Endgame' star thinks it is weird that people think she is so tall and then express their shock when they meet her and see that she's quite petite. 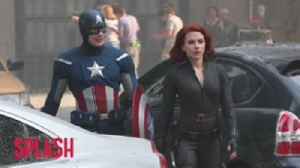 She gets this shock all the time. 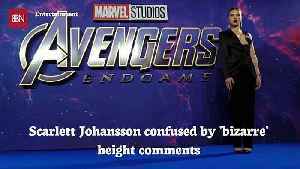 Scarlett Johansson confused by 'bizarre' height comments The 'Avengers: Endgame' star thinks it is weird that people think she is so tall, only to then express their surprise when they meet her and see..
Scarlett Johansson says keeping Avengers secrets was 'traumatising' The 34-year-old actress readily admits it was "stressful" to not slip up and spill any spoilers about the highly-anticipated..
Scarlett Johansson says that keeping plot details of the highly-anticipated 'Avengers: Endgame' blockbuster under wraps was very "stressful". 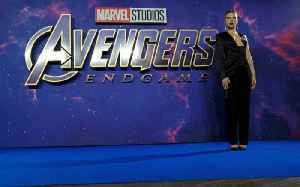 The actress attended the 'Avengers: Endgame' UK Fan Screening where she talked about his character as Black Widow in the MCU.